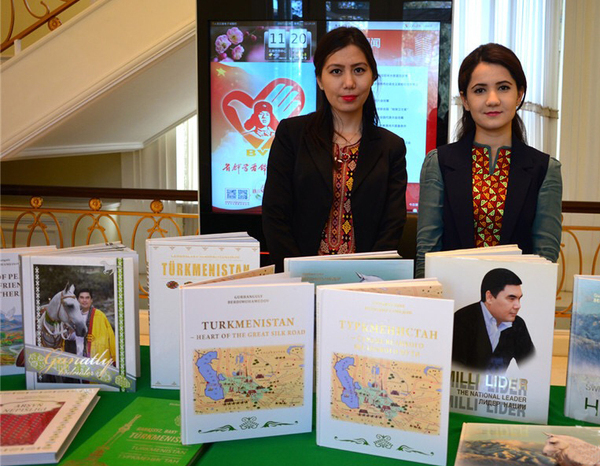 On December 6th 2017, the Turkmenistan President’s newbook launch for the book Turkmenistan-Heart of the Great Silk Road was successfully held in the Peace Palace ofChinese People’s Association for Friendship with Foreign Countries (CPAFFC). 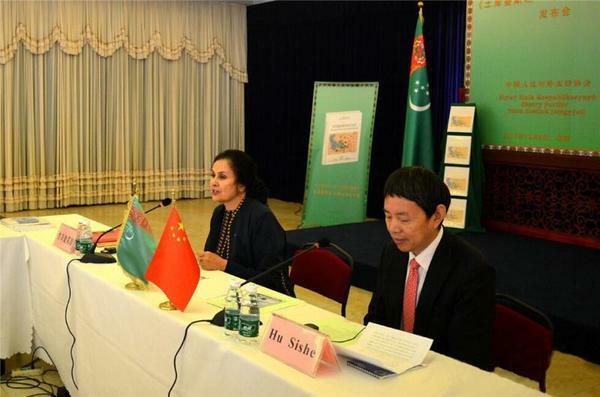 Thebook launch were cosponsored by CPAFFC, Turkmenistan Embassy in China and the ChinaCentral Asia Friendship Association. The International project department ofRising International Investment Development Co.,Ltd were invited to the booklaunch. The Chinese and foreign guests arrived at the PeacePalace around 10 o’clock. The book launch was presided over by Madam HuChunmei, the Deputy Inspector of the CPAFFC and the Secretary General of the ChinaCentral Asia Friendship Association. 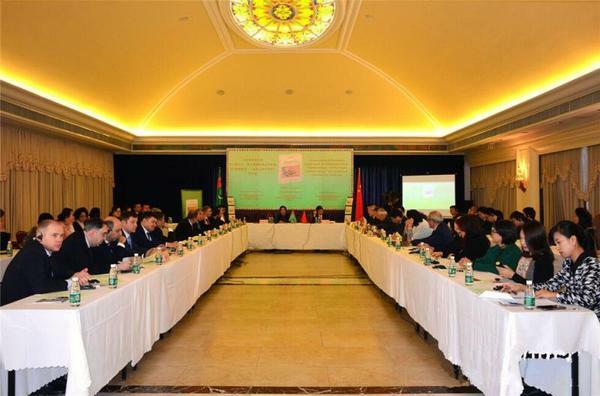 During the book launch, the Vice Presidentof the CPAFFC Mr. Hu Sishe, the Ambassador of Turkmenistan to China Mrs.RustamovaChinar, the Director of the Eurasian Division of the Ministry of Foreign AffairsMr Sun Linjiang, the Ambassador of Azerbaijan to China Mr Akram Zeynalli, the Ambassador of Afghanistan to China Mr.Mothusi Palai, theAmbassador of Tajikistan to China Mr. Davlatzoda Parviz, the Deputy Director ofthe Russia, Eastern Europe and Central Asia Institute of the Chinese Academy ofSocial Sciences Mr Sun Li, the Director of the Central Asia Office of the ChinaInstitutes of Contemporary International Relations Mr Ding Xiaoxing, and theDirector of the Turkmenistan Research Institute of the China University ofGeosciences Mr Wang Sihai given speeches separately on the subjects of theTurkmenistan President’s new book, the Silk Road Economic Belt and the jointdevelopment for China and Turkmenistan as well as the other Central AsianCountries, also they congratulated the publication and launching of thePresident’s new book. The Turkmenistan President’s new book, Turkmenistan- Heart of the Great Silk Road,elaborated on the historical development of Turkmenistan, the beginning anddeveloping process of the Silk Road in Turkmenistan, and the important rolethat Turkmenistan is playing in the new period of the Belt and Road. TheChinese version of the book will be published soon in China as well.